Florence Coca-Cola Is Celebrating Summer Holidays! The associates of Florence Coca-Cola work extremely hard in partnering with both our national and independent customers every day, and that doesn’t just mean the day-to-day work – it means going above and beyond to create a truly unique experience! 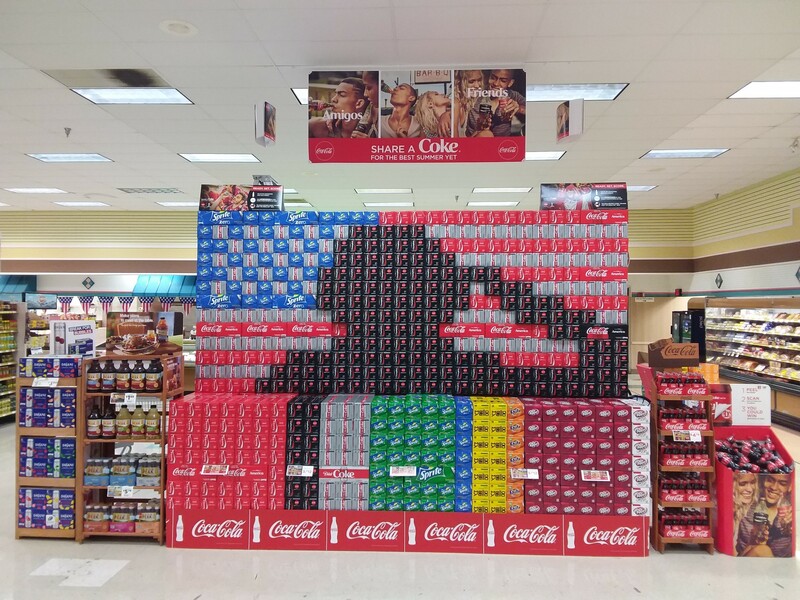 We’re proud to build these creative displays to create excitement for not only our retailers, but our consumers. The detail and imagination that goes into these displays is representative of the characteristics that Coca-Cola UNITED values so much. Our people go above and beyond every day, and so we want to go above and beyond for our customers by giving them a visual display they can enjoy. We are thankful for all of our supportive retail partners that help make this possible – without their help, it wouldn’t be possible! With Memorial Day and the 4th of July behind us, we are already looking forward to Labor Day. Where does the time go? Now who’s ready for some football? #Roll Tide, #War Eagle, # Roar Lions!